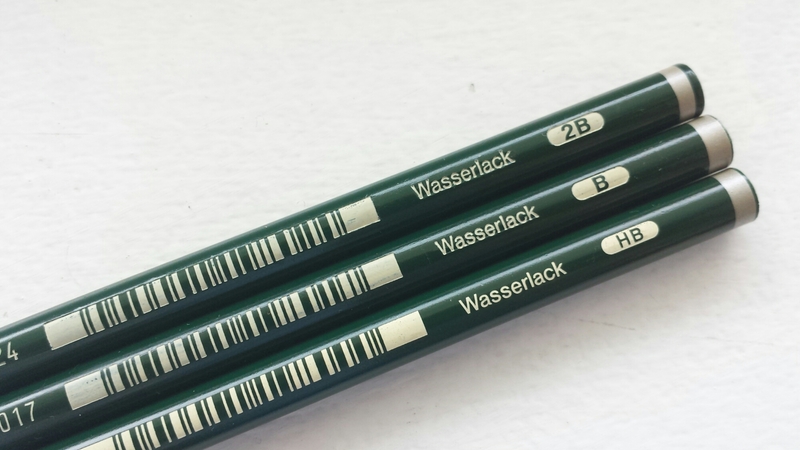 These pencils are just to my taste, on many levels. First, they are from Eagle, one of my favorite manufacturers; they are round (and slightly larger in diameter); and they are stenographic pencils. I like the fact too that Eagle prefers to call them “shorthand”, and also that the pencil cap managed not to get lost after all these years. It would have been nicer to have the printing in gold, not grey, but maybe stenographers are just too busy to look at the fine print on their pencils? 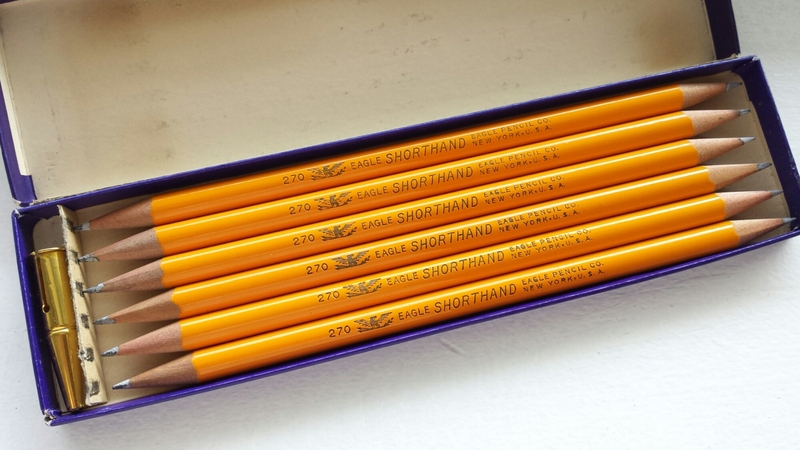 As Eagle pencils go, these shorthand pencils are a bit softer and smoother than either Venus or Eberhard Faber. I don’t know anything about stenography so I can only guess, but if it is true that stenographers write with very little pressure in order to reduce fatigue, then steno pencils would need to leave a legible enough mark on the paper even when held very lightly. But on the other hand, they need to hold their point longer than ordinary pencils, because stenographers don’t have the time to sharpen them very often. So in this sense, making a good shorthand pencil seems to involve a more complicated challenge than meets the eye – you can’t just make a round-bodied 2H pencil and call it a steno. 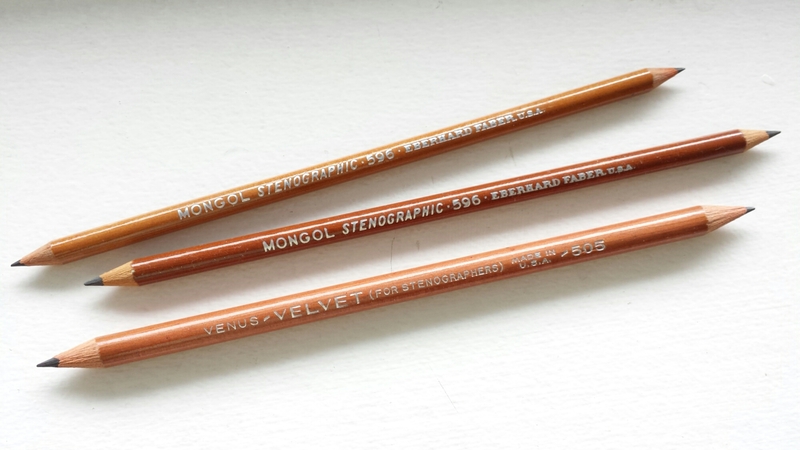 Which kind of makes me understand why modern stenographic pencils (the late Staedtler Stenofix and the ongoing Faber-Castell 9008, for example) tend to lean towards darker degrees (HB to 2B) than the other way around, even though one would assume 2B pencils would need to be sharpened more often. It also makes me think that not all stenographic pencils would be considered perfect; some manufacturers sacrifice lead darkness and smooth writing more in order to make the point stay sharp longer. 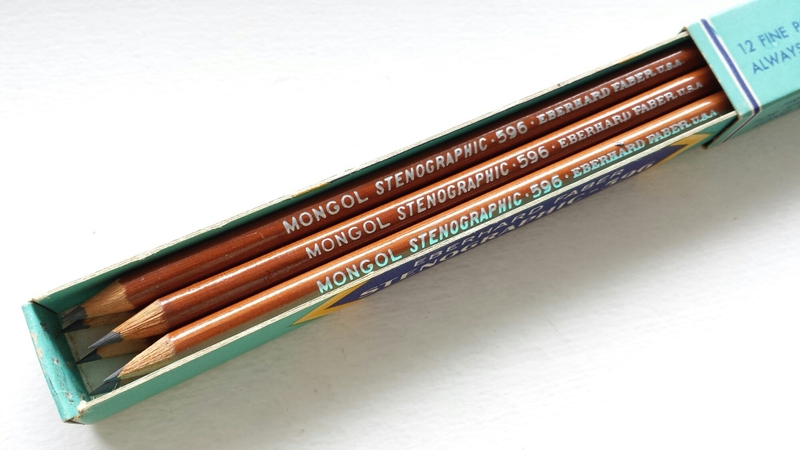 I wonder if stenographers had their own preferences among these pencils. Or maybe they just used mechanical pencils? I don’t usually go out of my way to get a dozen box of any particular pencil. There is rarely any need to “stock up”. That said, there are some pencils that linger in the back of your mind, and it is only a matter of time before you find yourself in possession of a redundant but absolutely thrilling box. The Mongol Stenographic is unusual on several levels. 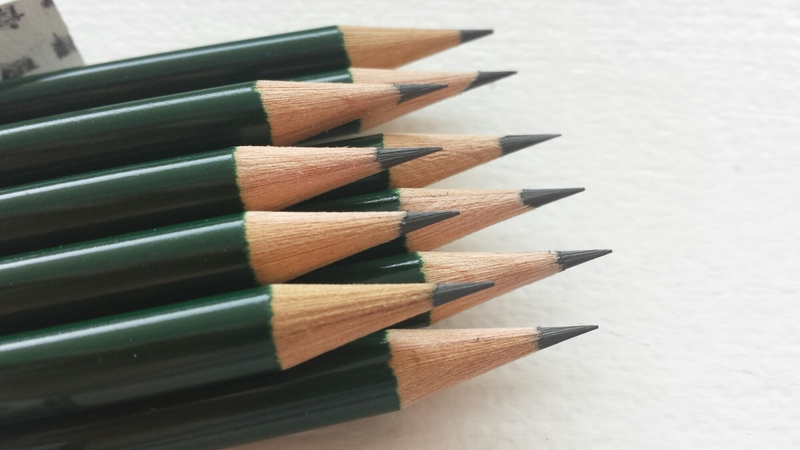 For starters, it’s round-bodied (like most steno pencils) and comes with both ends pre- sharpened; what is striking about the barrel is that it is much thinner than most pencils (it feels more like a chopstick than a pencil in the hand) – probably to make you hold it as lightly as possible. It has an appealingly natural look, due to it being coated with what seems like dark varnish, not opaque paint (the grains of the wood show through). The half-dozen box is unusual and lovely too. That said, there seems to be generational differences in the formulation of the lead. 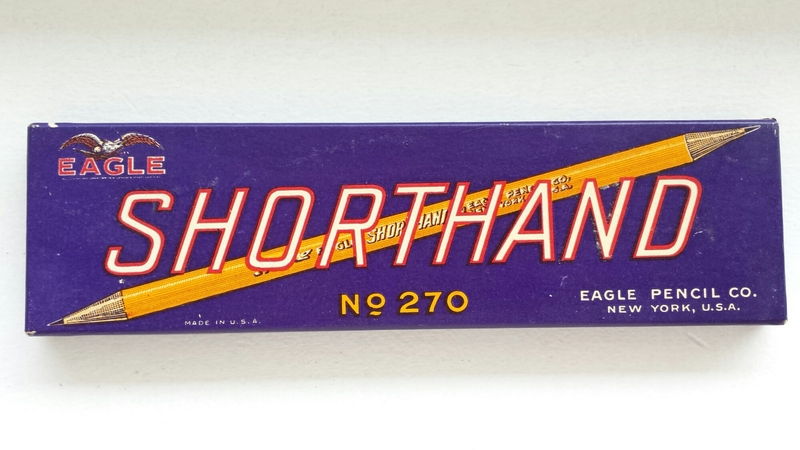 The reason I wanted to get a proper box of these pencils was that the single copy I had of it (circumstantial evidence points to the 40’s and/or 50’s as to the period of manufacture) wrote surprisingly smooth and creamy for a stenographic pencil. I am not sure exactly when this particular box was manufactured, but the pencils in this box write more like a conventional steno pencil (such as the Venus Velvet 505), drier and harder. The body color is darker too. 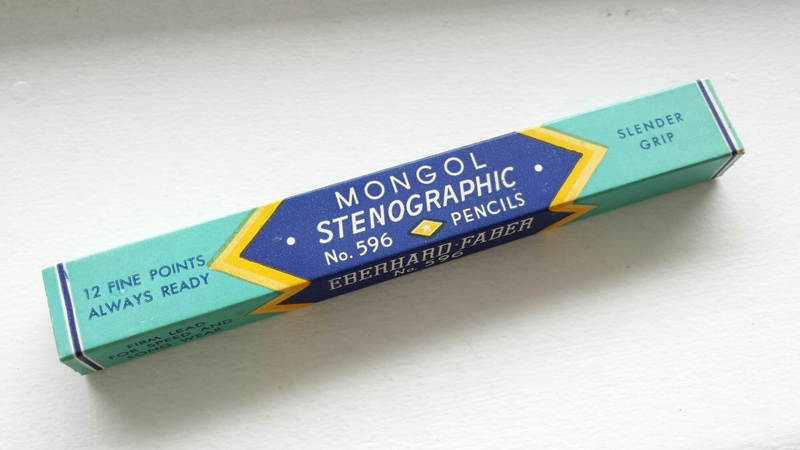 There is a very interesting vintage ad for Eberhard Faber stenographic pencils and pictures of a slightly different box over at Lexikaliker. I wonder which package is older; the typography and design appear to be the same and only the color is different (silver vs. light turquoise). It’s also interesting how they advertise the Stenographic as “quicker to sharpen” – it would be difficult (at least for me) to sharpen such a thin pencil evenly! This is another of those unicorn-like pencils that are rumoured to exist but seldom seen in the wild (or even online), that I somehow managed to score through dumb luck. 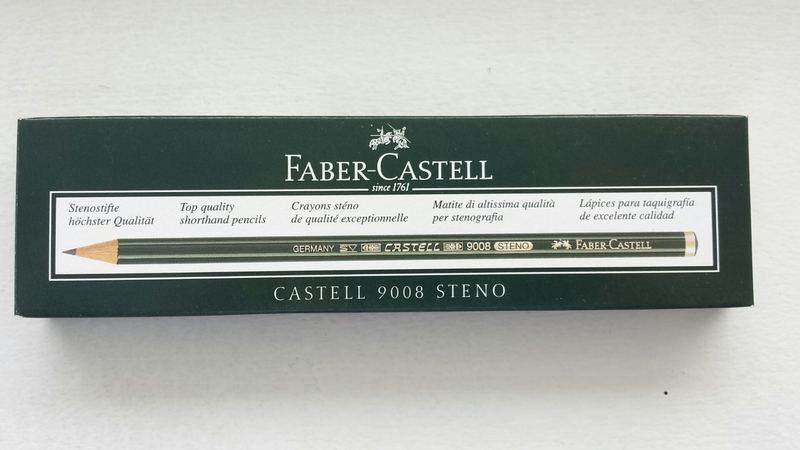 I was browsing at the downtown branch of Essence du Papier (which sadly closed at the end of last year), and I picked up a few green Castell 9000s on a whim – they are normally too light and hard for my taste, but it had quite simply been a long time since I bought any. On the way home I felt for the pencils in my bag and realized for the first time that they were round. I was shocked. Had the Castell 9000s been renewed or changed in the meantime? No, fortunately, they were just 9008s. Stickered and mixed in with other humdrum green pencils, with no one around to recognize their value, not even the shop attendant. I went back the next day and bought the only box in stock, and placed an order for other grades too. It took three months for them to cross the Atlantic. 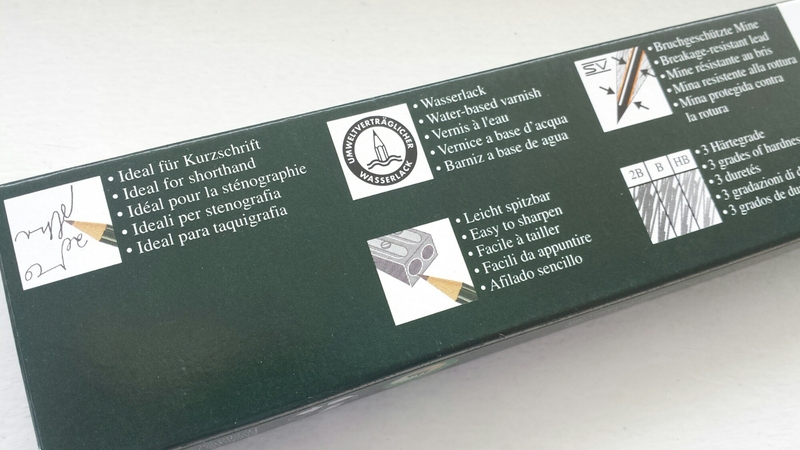 Still, I guess we should count ourselves lucky that there still is a company that makes quality stenographic pencils. I doubt that anyone uses the 9008 for its original purpose nowadays; I personally prefer it, as a normal pencil, to its more famous sibling because the paint job is much better and the lead seems somehow friendlier, or at least not as harsh, as that of the 9000 (although in theory they should be very similar). And the thrill of the unexpected round barrel makes me giddy every time. 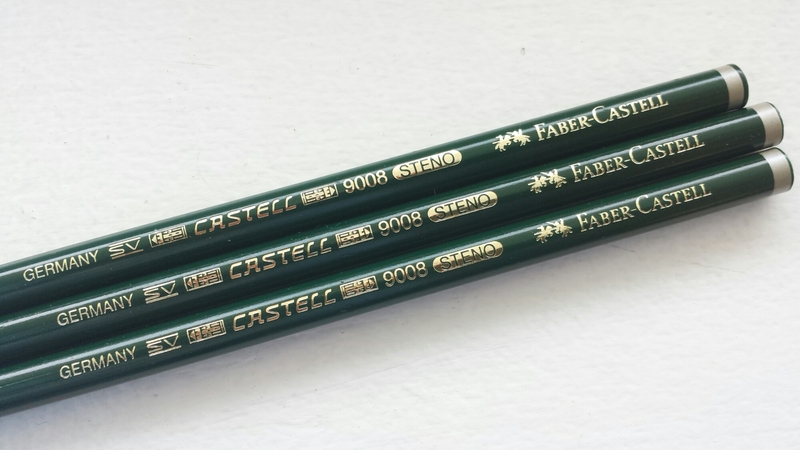 I wish Faber-Castell would make more of an effort to introduce and promote these kind of specialty pencils outside of Germany (according to this post the Steno has never been introduced in Japan either – a pencil-discerning nation if there ever was one).